On Saturday 15th December we are getting creative with a day of FREE family activities ranging from science to crafts. Our main museum will be open from 11 am with last entry at 3.30pm. Our shop is full of great choices for gifts and the café will be selling delicious homemade mince pies. With 25% off the museum entry, it’s the perfect time to visit! From 10.30 am to 12 pm, why not drop in on our STEAM Explorers session for 7 to 12-year olds that explore the realms of Science, Technology, Engineering, Art and Maths. From 10.30 am in our Clore Building, join us for a variety of fun, hands-on activities that will educate and inspire. Create your own Christmassy cereal box spectrometer that will split white light into a spectrum of wonderful colours. 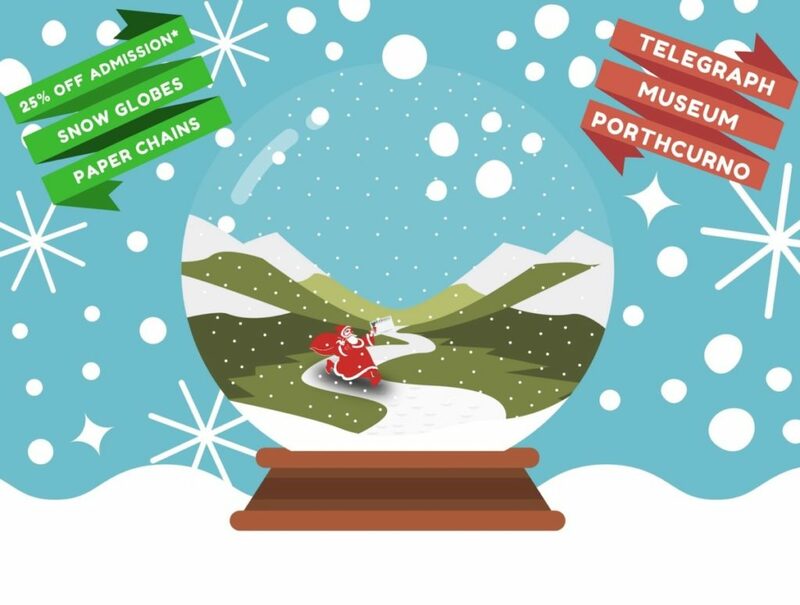 After lunch, from 1 pm join our activity leaders and make telegram-paper-chain decorations and a festive Porthcurno Valley Snow Globe, which you can take away with you as a special Christmas gift. The Clore building is easy to access for all and has free parking right outside. Take some time out at our museum café, treat yourself to hot drinks and mince pies, then why not browse our museum shop for unique and beautiful Christmas gifts.